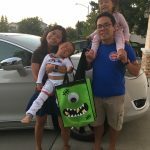 "We love our electric hybrid minivan so much that we have given her a name because she is a part of our little family," says Ying Wu of her family's 2017 Chrysler Pacifica. 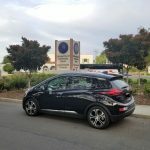 "I collected a month's worth of data on my driving habits and realized that an EV could work well for me," says Suresh Ram, who now drives a 2017 Chevrolet Bolt. 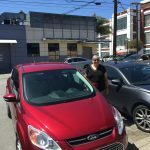 "People do not understand how an electric hybrid works," says Diana Lucas of her 2014 Ford CMax Energi. 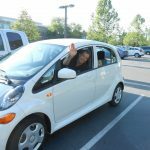 "A limited mileage range does not make use of an EV impossible," says Alf Brandt of his 2012 Mitsubishi MiEV. 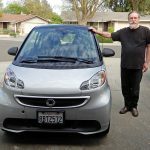 "You realize that the noise and vibration of a gasoline engine is annoying," says Scott Shephard of his 2014 Smart Fortwo Passion.